Martin Truex celebrates his win in Kentucky. Credit: Christopher Hanewinkel, USA TODAY Sports. Fresh off his win last week at Kentucky, Martin Truex is looking for more. And he followed those comments up with a superb qualifying time of 28.530 seconds at 133.502 miles per hour, which was good for second-best to Kurt Busch. Last week, Truex won the poll, led for a vast majority of the race, and ended up victorious. 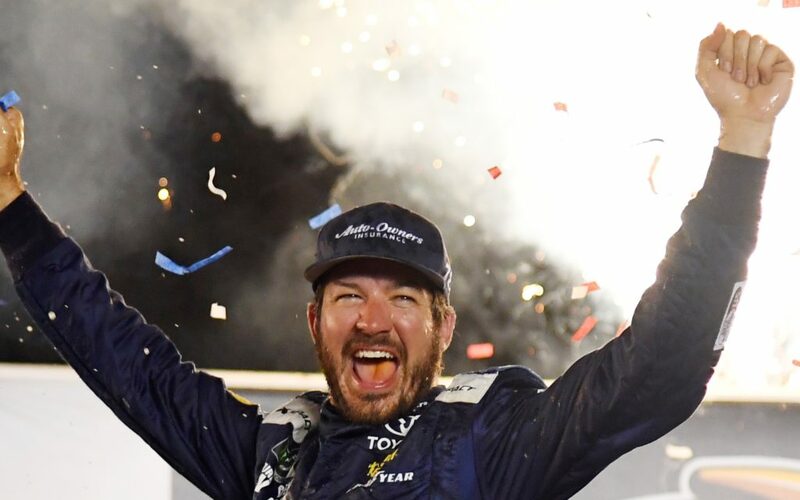 He now has four victories on the season — and has finished first, fourth, second and first in the last four races — and is third overall in points on the NASCAR Cup Series. Sunday’s race in New Hampshire takes place at Noon MST on NBC Sports Network.